Expert videos on physical therapy after a spinal cord injury. Learn about range of motion, preventing pressure sores, and achieving goals with physical therapy. 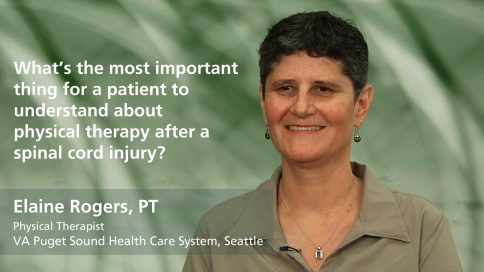 What's the most important thing for a patient to understand about physical therapy after a spinal cord injury? What can families do to help with physical therapy after a spinal cord injury? 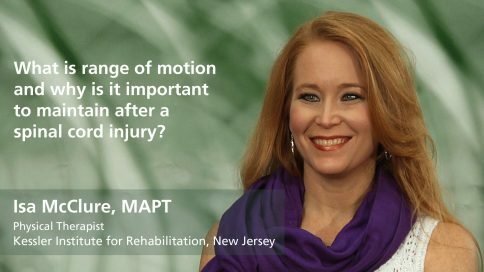 What is range of motion and why is it important to maintain after a spinal cord injury? What is a contracture and how is it prevented? 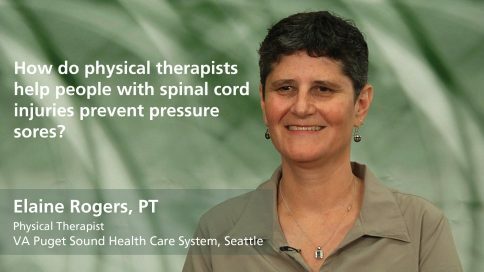 How do physical therapists help people with spinal cord injuries prevent pressure sores? What is a pressure release and why is it important? 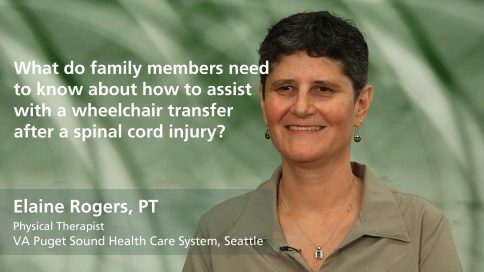 What do patients need to know about wheelchair transfers after a spinal cord injury? What do family members need to know about how to assist with a wheelchair transfer after a spinal cord injury? In what ways do physical therapists train family members after a spinal cord injury? What do patients with spinal cord injuries need to know after leaving a rehabilitation center? How long should physical therapy for a spinal cord injury continue after leaving a rehabilitation center? What are the most important factors to consider when selecting a wheelchair for someone with spinal cord injury? Why is fitting necessary after a new wheelchair is delivered? How frequently is a wheelchair tune-up necessary? 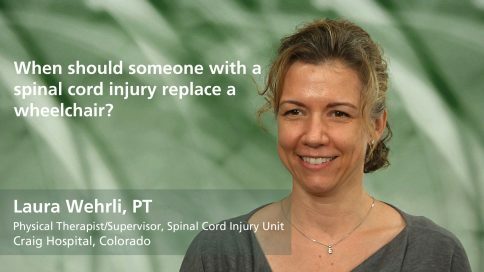 When should someone with a spinal cord injury replace their wheelchair? What factors should be considered in making a choice between a power or manual wheelchair for someone with a spinal cord injury? What are the day-to-day concerns when switching from manual to power wheelchair? 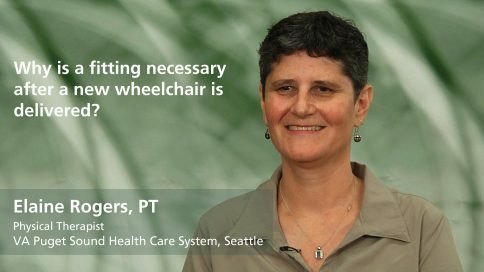 What are "power-assist" wheelchair wheels?